Tooth removal certainly has a reputation for being painful, and sometimes people deem it to be unnecessary. This is very far from the truth. Whether you’re removing a tooth because it’s a wisdom tooth or a molar, it needs to be removed if it is causing you pain or other dental problems. Here are some myths about removing teeth that are simply not true. Although many people experience some discomfort in the first days after a tooth removal procedure, there is typically not any pain during the actual procedure. 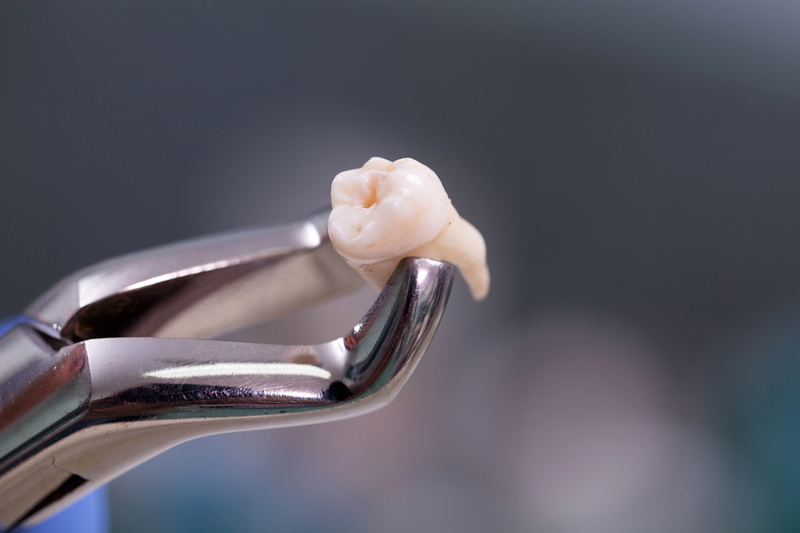 Thanks to anesthesia, removing a tooth is easier than ever for the patients. Usually, the only thing that the patient feels during the procedure is a small poke from the needle that is administering the anesthesia. Recovering from a tooth removal is not a perfect walk in the park, but it’s really not that bad. There will be some bleeding and swelling, but most people can go back to work or school after only one day. Everyone has a different experience, but the recovering is usually very quick and smooth. Over-the-counter pain medicine is also available for anyone who is experiencing unusual pain. Some people dream of eating only pudding and ice cream after a tooth removal, but it’s not typically necessary. Patients are generally allowed to eat whatever they want following a tooth extraction. They are just advised to chew on the other side of their mouth for a little while to avoid irritation. As soon as the anesthesia wears off, you’re free to start eating again. Soft foods are recommended for the first few days after surgery, but you are not restricted to them. Dentists are professionals that are well equipped to handle several procedures, including removing a tooth. Therefore, you should not hesitate to trust a dentist for a tooth removal procedure, especially because of these myths. Tooth removal won’t hurt that much, you will recover quickly, and you don’t have to eat only pudding, but you can if you want to. For all your dental needs, like dental implants that 10% of U.S.dentists place, contact us today.